Year of the Labbit: Easter Sunday! 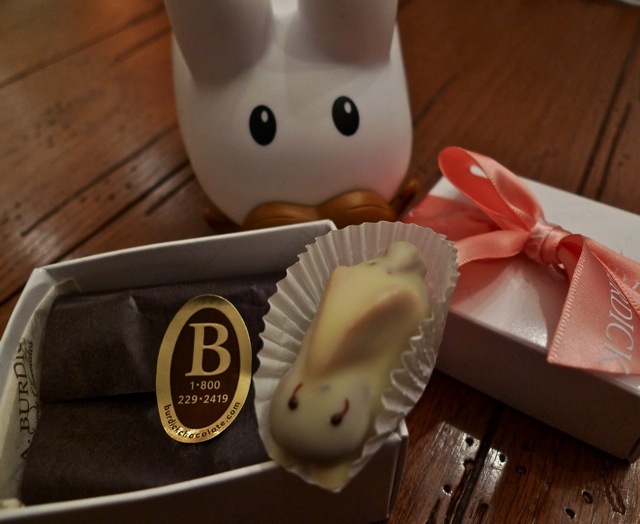 Pipkin got a white chocolate rabbit (with hazelnut-orange interior) from Burdick Chocolate for Easter. They make the best treats for the holidays! Pipkin personally visits the Walpole, NH chocolate shop, but if you're not local, you can order their goodies online at the Burdick Chocolate online shop. His friend Dr. 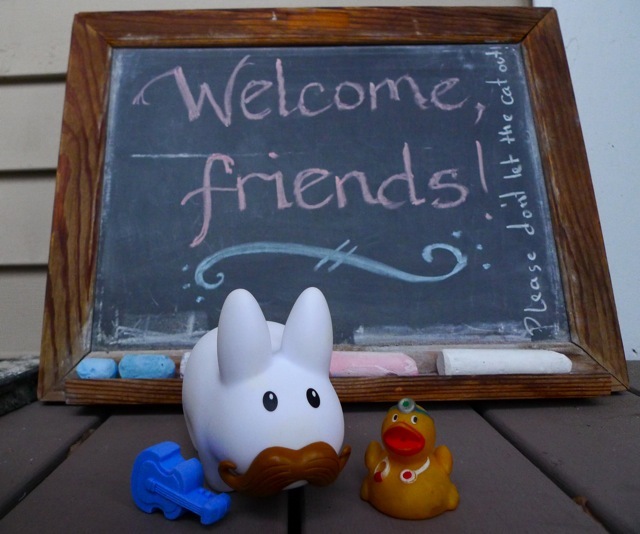 Duck invited Pipkin (and his guitar) to his house to hang out with his friends and eat, make music and play backyard games. Pipkin enjoyed all the wonderful local food and the company of his friends. Happy Easter, everyone!